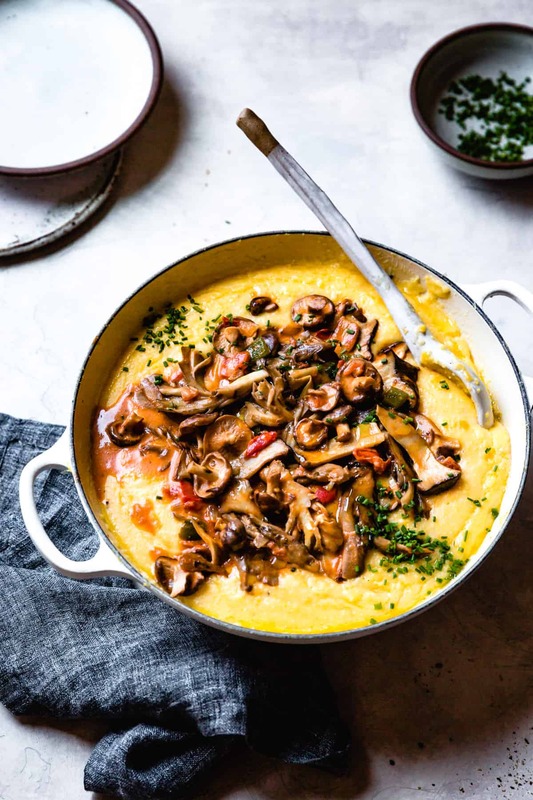 A vegetarian take on the Southern favorite shrimp and grits, aka Shrooms and Grits! 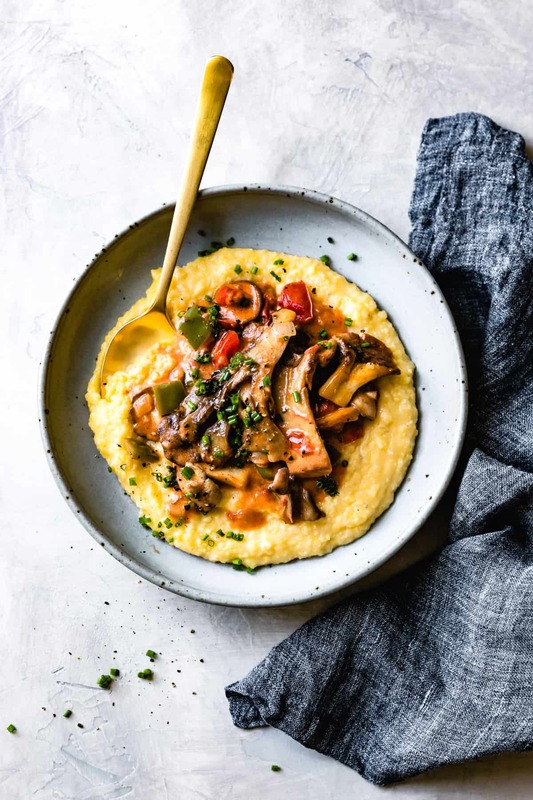 Creamy grits loaded with cheddar cheese support meaty king oyster, shiitake, and maitake mushrooms seasoned with tomatoes, peppers, and a splash of cream. 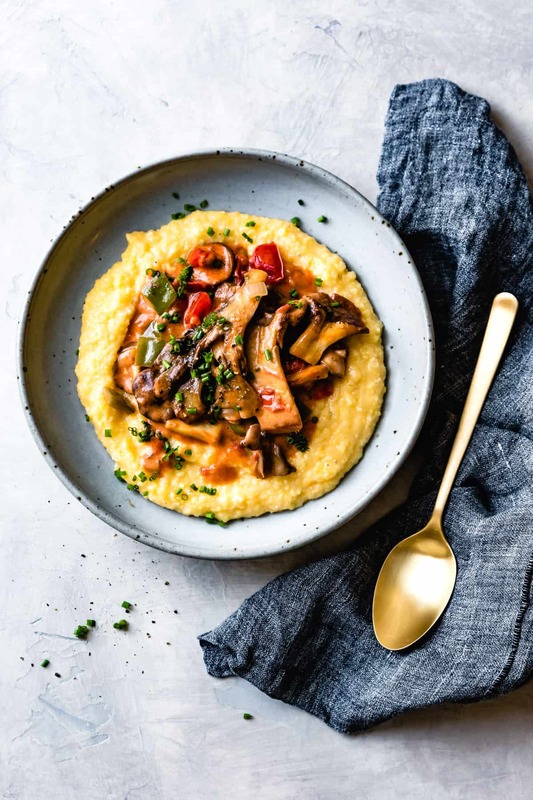 This pillow of creamy grits on which rest a mess of meaty mushrooms in buttery tomato sauce is winter comfort food at its best. 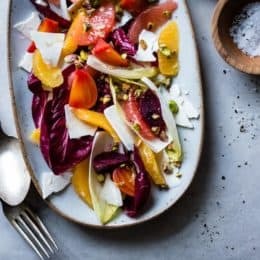 I adapted this dish from a recipe that Sarah and I styled for The New York Times last year. I thought I’d died and gone to heaven when I slipped a spoonful of ultra cheesy, creamy grits and tomato-based sauce into my mouth. Since I’m mostly vegetarian these days, I vowed someday to try the recipe with seared mushrooms swapped in for the shrimp. Vegetarian Shrimp and Grits = Shrooms and Grits! The original NYT recipe gets 5 stars with 250 reviews for a good reason. The grits portion is dead simple to make and turns out creamy dreamy grits that you’ll want to eat with a shovel. The shrimp portion comes together beautifully, shrimp suspended in a perfectly flavorful, silky sauce. The two together are simply sublime. Aside from increasing the grits portion and ditching the shrimp in favor of seared mushrooms, I changed very little about the recipe. Cornstarch stands in for the wheat flour, and a smaller amount of Worcestershire was needed thanks to the already umami mushrooms. I’ve been trying to eat more mushrooms lately because they’re such a good source of protein and minerals like iron and calcium. 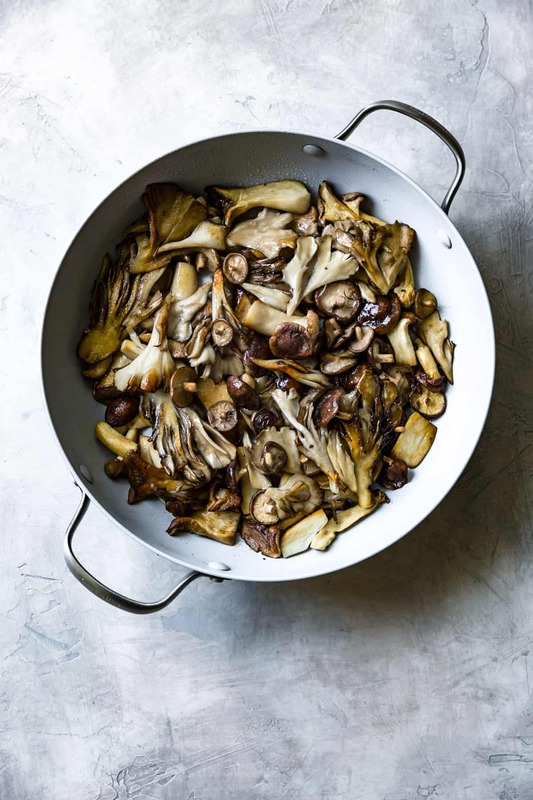 These can be hard to get enough of as a vegetarian, which is probably why I frequently crave mushrooms. Exotic mushroom varieties are becoming more widely available. 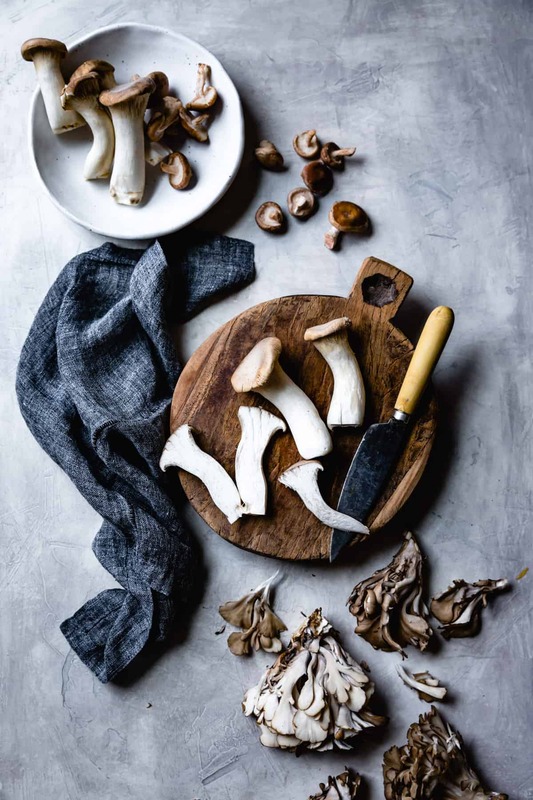 I’ve come to especially love maitake mushrooms (aka hen of the woods mushrooms) for their feathery nook-and-cranny texture, king oyster mushrooms for their clean flavor, and I’ve always preferred shiitakes to their spongier cousins button and cremini. Here, the succulent slices get seared in butter, then cooked in a creamy tomato sauce loaded with flavor from sauteed onions, peppers, garlic, a splash of Worcestershire and a dash of Tabasco. Lately I’ve been working with a lovely food styling assistant – Bebe of Champagne and Cookies. 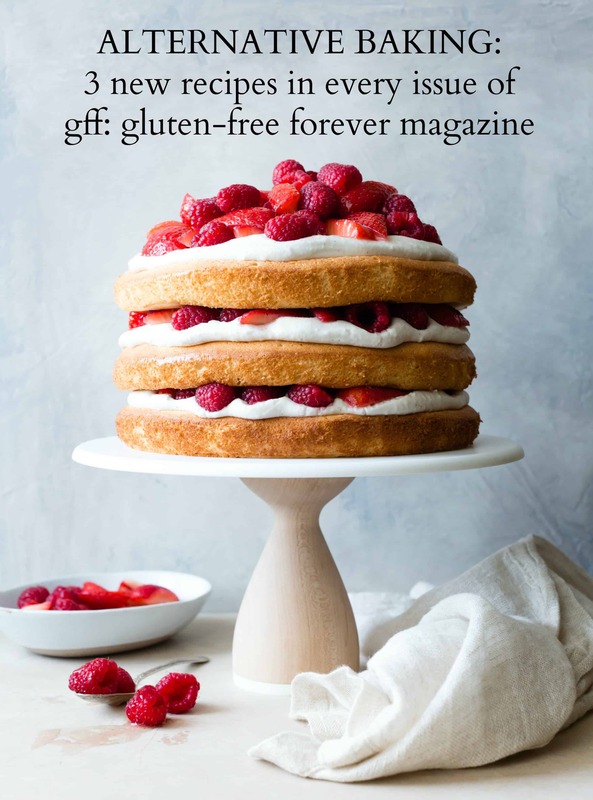 Blogging can be lonely work, so I cherish the days we get to chat and tell bad jokes while preparing cookies, cakes, and pasta for their close-ups. After making this recipe, Bebe took a bite and exclaimed, “Why even bother eating meat? !” This was one of my proudest moments. Start by bringing a pot of water to a boil. You’ll need a ratio of 3 or 4 parts water to 1 part grits. Stir in the grits, reduce the heat to low, and cover the pot. This allows the grits to cook slowly, absorbing the water, with little stirring required. When the grits have softened and thickened to a creamy mass, stir in an unconscionable amount of cheese and butter, and salt to taste. Grits and polenta are sometimes labeled as the same thing, and both will work in this recipe. Technically, grits produced in the Southern US are made from a type of corn called dent corn which tends to cook up soft and creamy. 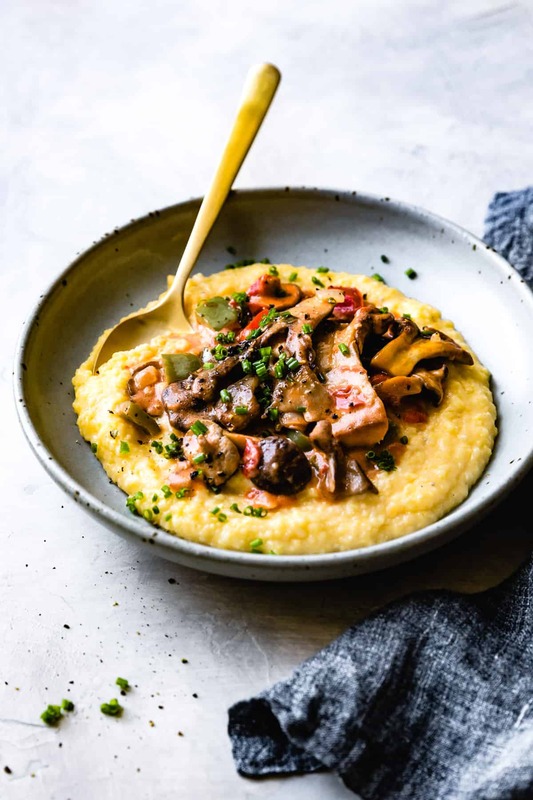 Polenta from Italy comes from a different type of corn – flint corn – which holds its shape more. Here I used Bob’s Red Mill Gluten Free Corn Grits aka Polenta. So whatever type of coarse cornmeal-like substance you start will, these grits will taste completely amazing. Grits are made from corn, which is free of gluten. But some grits are processed on machinery that also processes wheat and can be contaminated with gluten. If you’re highly sensitive to gluten, seek out grits that are certified gluten free. 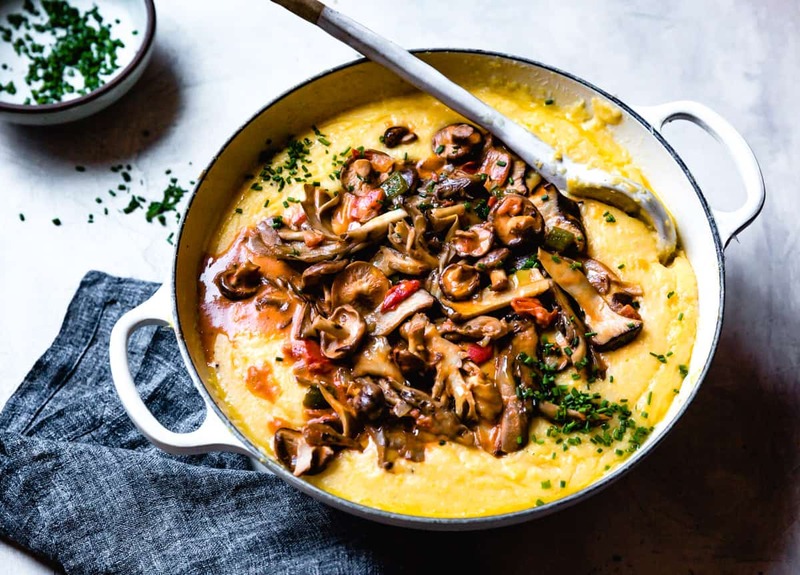 These creamy corn grits and buttery mushrooms border on the very decadent, so feel free to reduce the butter and cheese in the grits portion if you like. 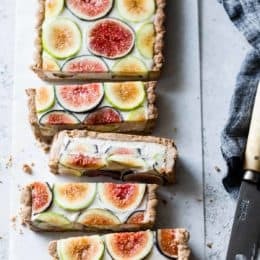 Or try using vegan butter, non-dairy cheese, and coconut cream in place of their dairy counterparts for a vegan variation. 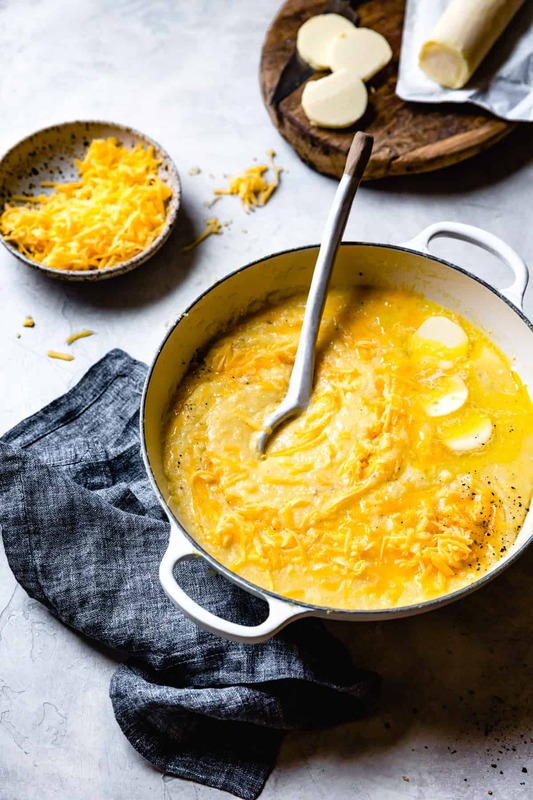 Eat a bowl of creamy cheese grits for breakfast topped with a poached egg, or make them a more balanced meal by adding some wilted spinach or other greens to the top. 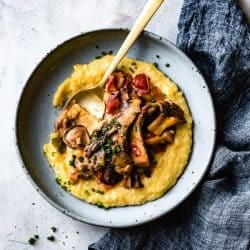 A vegetarian version of shrimp and grits made with big slices of meaty mushrooms. This dish verges on the decadent side with an abundance of butter, cheese, and cream. I've updated the recipe with a range for the cheese and butter in the grits. Use the maximum amount for the authentically decadent version, or the lesser amount for a lighter dish. Sometimes I add wilted spinach or other greens or a poached egg to up the nutritional value too. Adapted from The New York Times Shrimp and Grits. In a large pot or dutch oven, bring the water to a boil. Stir in the grits. Reduce the heat to low, cover the pot, and cook let cook, stirring occasionally to prevent the grits from sticking to the bottom of the pot. Cook until the grits are tender and the liquid has been absorbed, 20-30 minutes. Remove from the heat, add the salt, cheese, and butter and stir until melted. Cover and keep warm. Melt 1 tablespoon of the butter in a large skillet or braising pan over medium heat. Add half of the mushrooms and cook for 5 minutes or until golden on the bottom. Flip the mushrooms over and brown on the second side, about 5 minutes more. 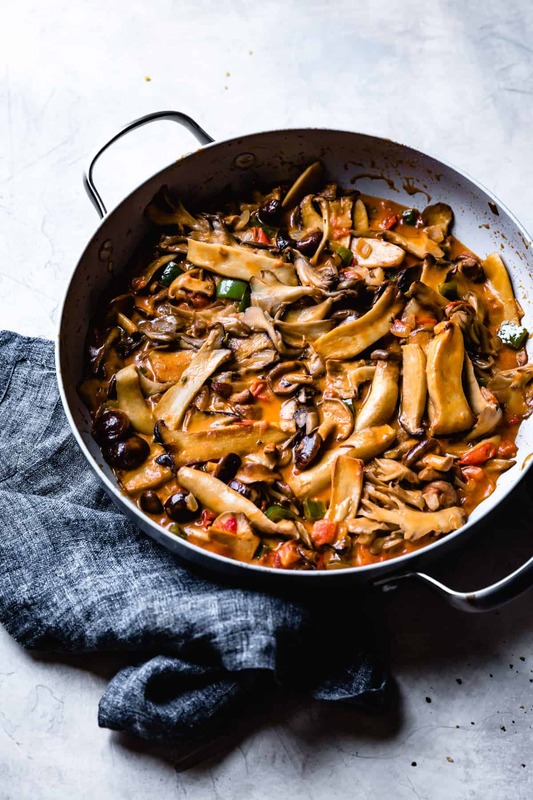 Remove the mushrooms to a large plate. Add another tablespoon of butter to the pan and repeat with the remaining mushrooms. Melt the remaining 2 tablespoons butter in the now empty pan over medium heat and add the onion, bell pepper, and garlic. Cook, stirring occasionally, until softened, 3-5 minutes. Add the seared mushrooms and any juices that have accumulated. Add the tomatoes, their juices, and the thyme and bring to a simmer. In a small cup, stir together the cornstarch and 1 or 2 tablespoons of cool water to make a slurry. Add this to the pot along with 1/2 cup vegetable stock. Cook for 2 or 3 minutes more. Add the tomato paste and stir until blended. Stir in the cream, Worcestershire, Tabasco, and more stock if needed to make a spoonable sauce that generously coats the mushrooms. Heat thoroughly, being careful not to let it come to a boil. Taste, adding salt if you like. Serve the grits in shallow bowls topped with the mushrooms, sauce, and a sprinkle of chives. OMG! 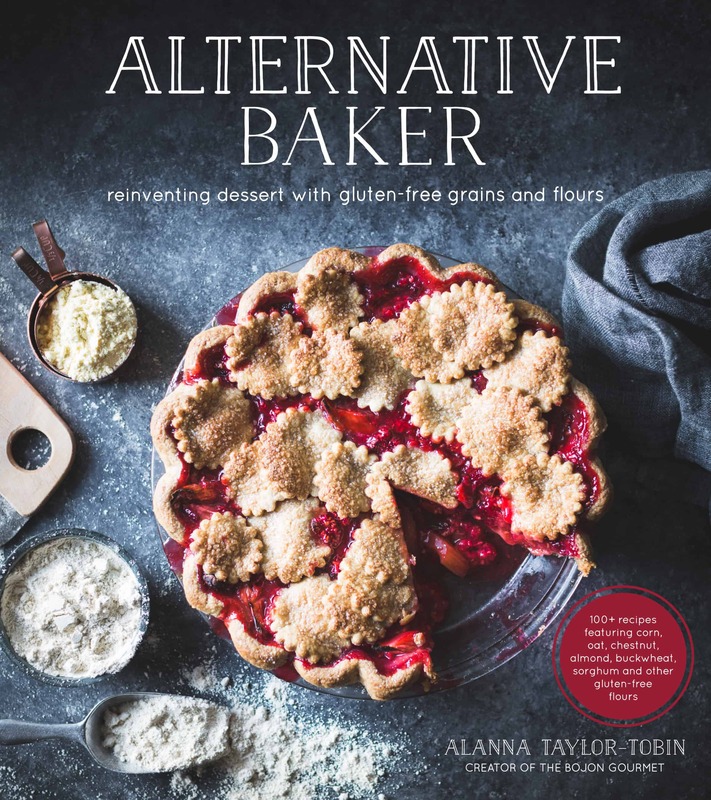 Alanna, this sounds obscenely delicious! I would like to make it for a ladies lunch. Do you think I could prepare up to adding the cornstarch slurry and finish it off before serving? Also, what to do with the polenta to have it stay hot? Aw, thanks for the sweet words Sharon! I think your technique should work perfectly. Polenta is a bit tricky to keep warm when made ahead. If you make it in an enamel dutch oven, the heat stays in pretty well. You could place the covered polenta in a low (say 200ºF?) 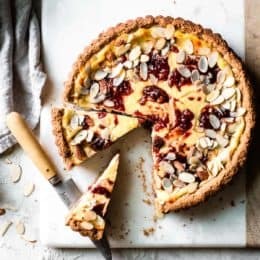 oven for ah hour or two, then when you’re ready to serve, thin with a little water or milk if it has thickened up too much. I’ve been reheating leftovers in a saucepan with some added liquid, stirring until warm, and that seems to work pretty well. Please let me know what you try! I too want to get in on Sharon’s question about holding the polenta. Can’t wait to make this this weekend!! My boyfriend made this for us last night after I had been eyeing it since you posted it. We really enjoyed it! I really liked the King Oyster mushrooms (it was my first time having them, but definitely won’t be my last). While you gave lots of fair warning, the grits were maybe a little bit too intensely cheesy for us (I never thought I’d say that), so I’ll probably cut down on the cheese next time. 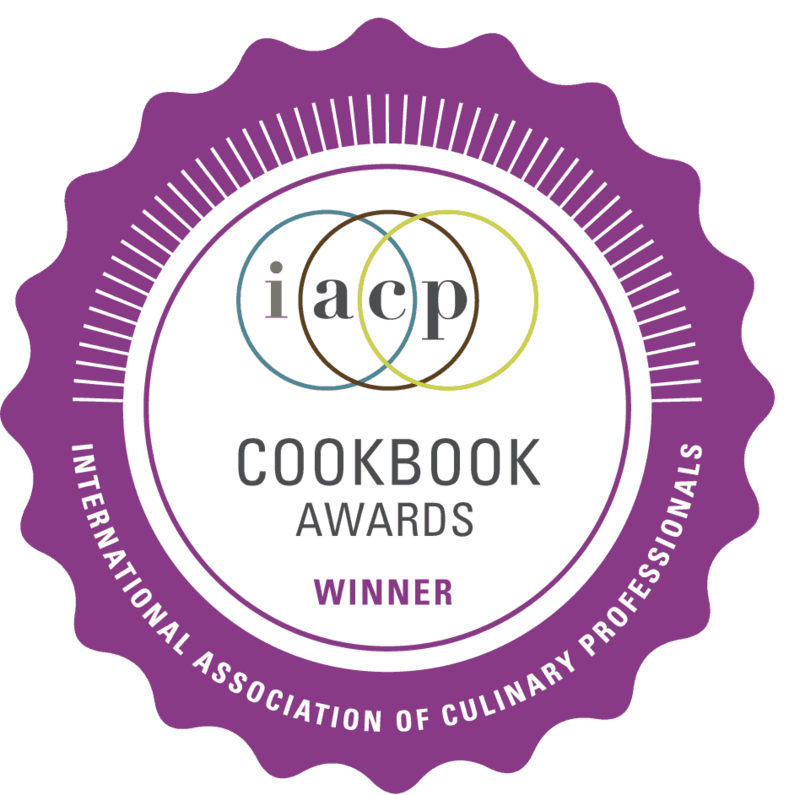 Thank you for adapating and sharing this recipe! Hi Emily! Thanks so much to you and your boyfriend for giving this a go! Aren’t those king oysters lovely!? Mild flavor and a meaty texture. Some of my favorites! I hear you on the cheesy factor, so I edited the recipe to give a range of cheese. Thanks very much for the feedback! I never thought I could have too much cheese either, but I was having second thoughts on this one too. In any case, so glad you enjoyed it!